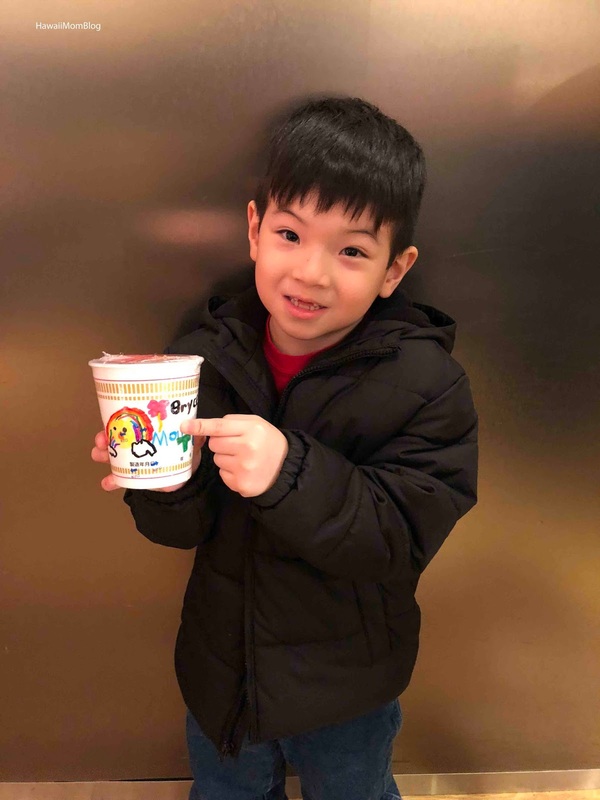 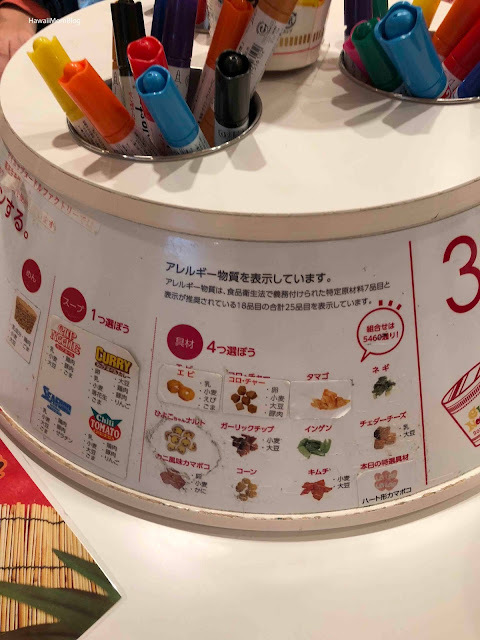 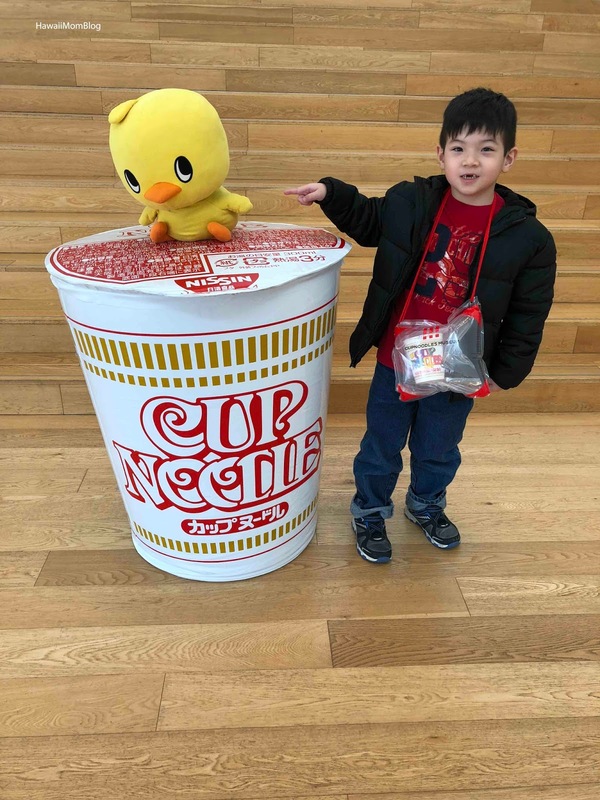 After reading Nadia's experience at CUPNOODLES Museum in Yokohama, we knew we would want to visit during our recent trip to Japan. 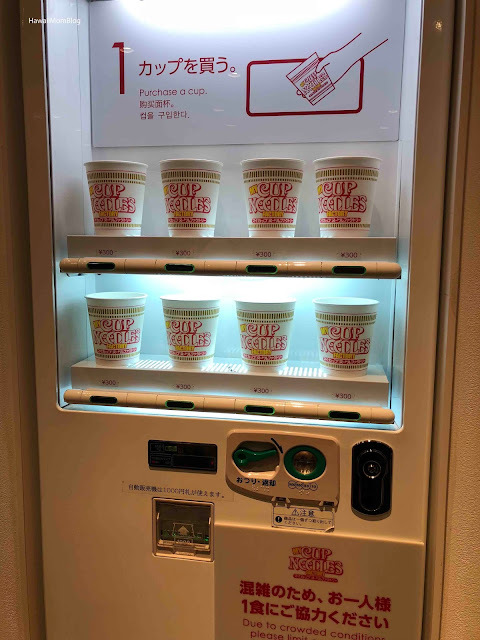 We went on a Saturday, and the trains were quite empty for most of the 40-minute ride to Yokohama, so we could sit in comfort. 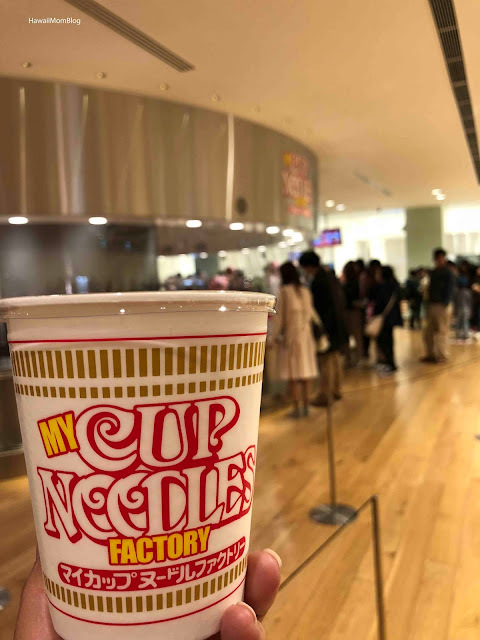 We arrived at the Cupnoodles Museum a few minutes before opening time, and as people warned me - there was already a pretty long line to get in. 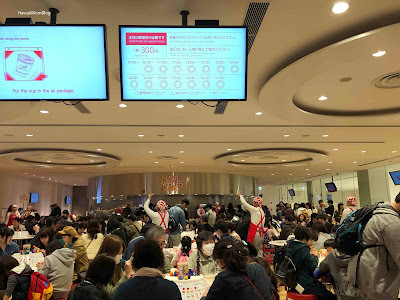 Fortunately, it moved quickly, and once we got our admission tickets, we immediately went to get tickets for My Cupnoodles Factory, since tickets are distributed on a first-come, first-served basis. Luckily, our time slot was right away. 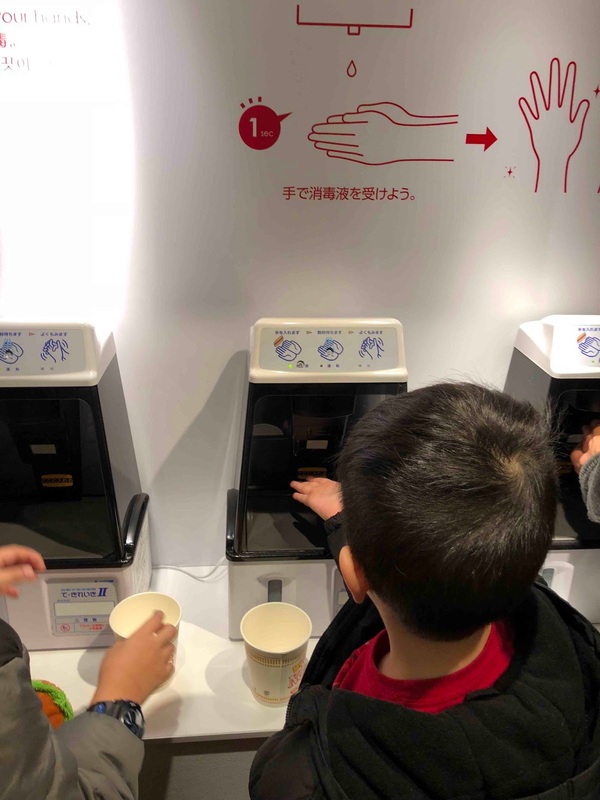 We each bought a cup to decorate, sanitized our hands, and were directed to a table to start decorating our cups. 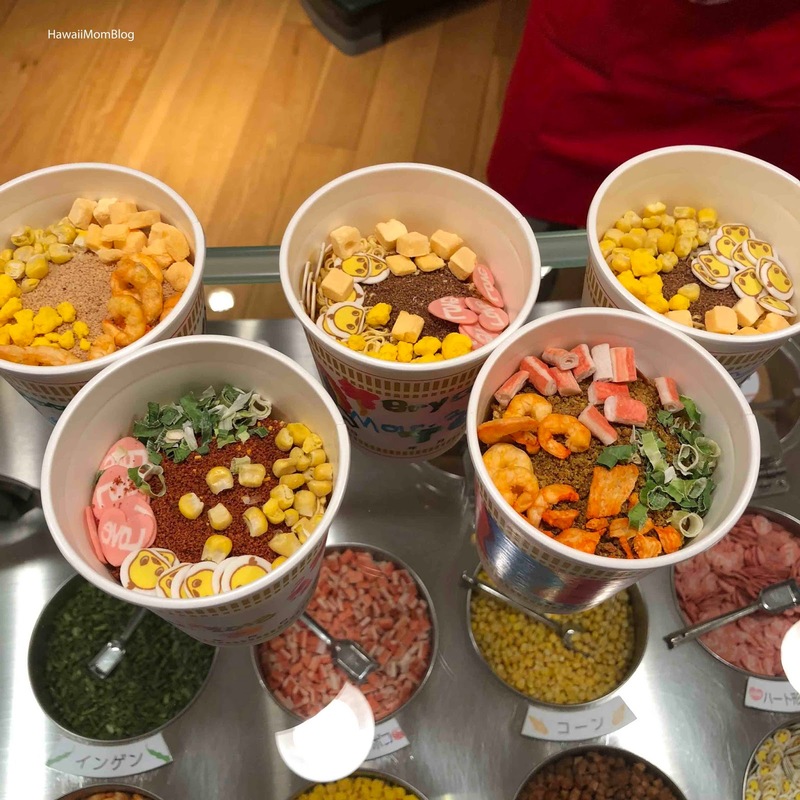 After decorating, we took our cups and watched noodles get placed in each cup, and we each picked our broth (original, seafood, curry, chili tomato), and up to four toppings. 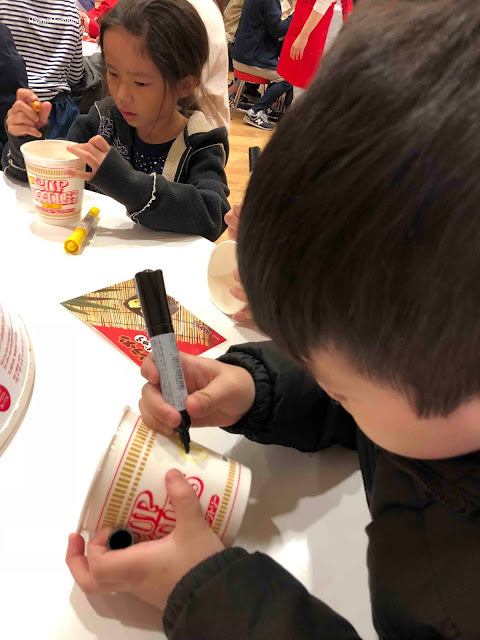 We then watched each cup of noodles get sealed, and then we each had to place our cups into a pouch to "shrink wrap" it and protect it (be sure to read the instructions carefully, as some of us did not, and our cups kept falling out of the pouches!). 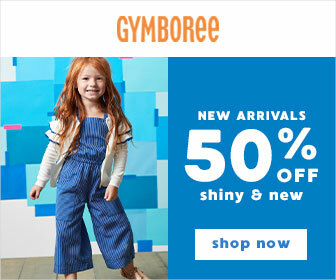 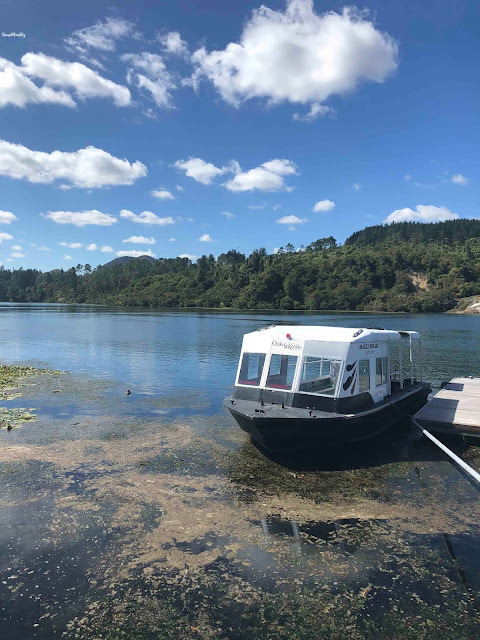 Don't get discouraged if you see an enormous amount of people, because the process is run very smoothly and the employees are very friendly. 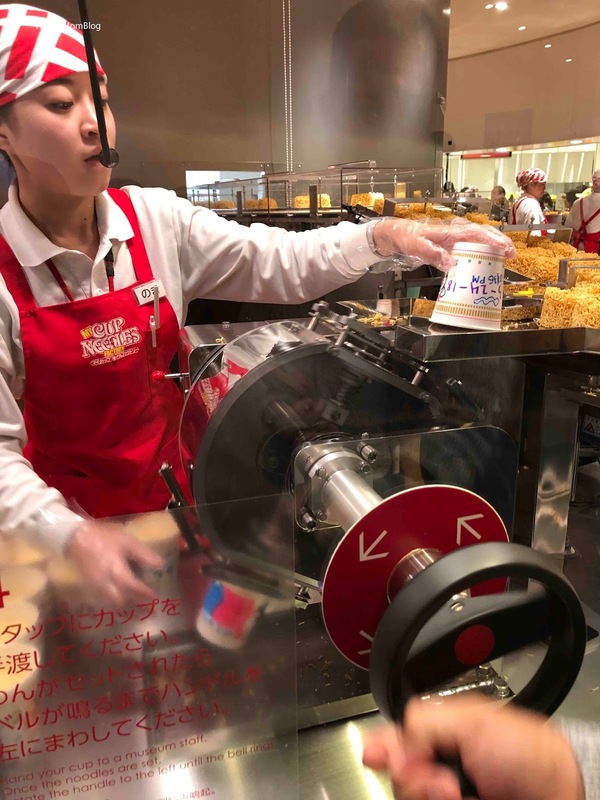 Allow for about 45 minutes for the entire process. 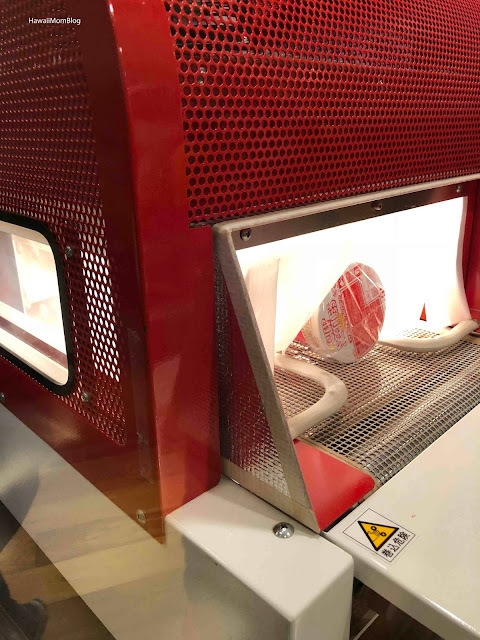 We did not participate in any of the other paid activities at the Cupnoodles Museum - the My Cupnoodles Factory was sufficient enough for us, and it made for a fun morning!